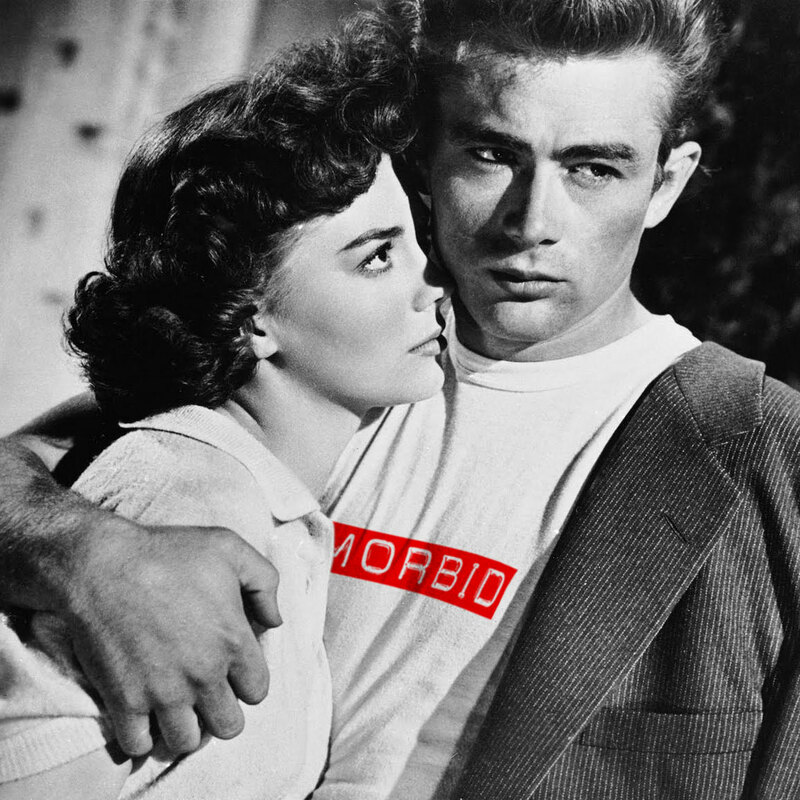 We here at Morbid fiber enjoy watching James Dean Movies on Monday fun-day here at the office! It’s what gets us motivated for the long work week. If he were still living today, we would do whatever it takes to get one of our “Carbon 14” tee on him. Here’s how it would look like on him if he were to sport one. Well, he might look a bit older now but you get the idea. James Dean is an iconic actor that was one of those sad tragic Hollywood stories. This story about a young man who never got to live up to his potential. He was the first ever actor to receive a posthumous Academy Award nomination for Best Actor, for his role in East Of Eden in 1955. He is also the only actor to receive two posthumous Academy Award acting nominations, as he had a second one the following year for Giant (1956). Dean only made three movies and two of those movies came out after his death. On September 30th 1955, James Dean died in a fatal car crash while driving out to the road races at Salinas near Los Angeles. The 24-year-old actor crashed his car on Route 66 on that fateful day. He is buried in Fairmount, Indiana, near his uncle’s farm where he grew up. In 1977, a James Dean memorial was erected in Cholame, California in his honor.